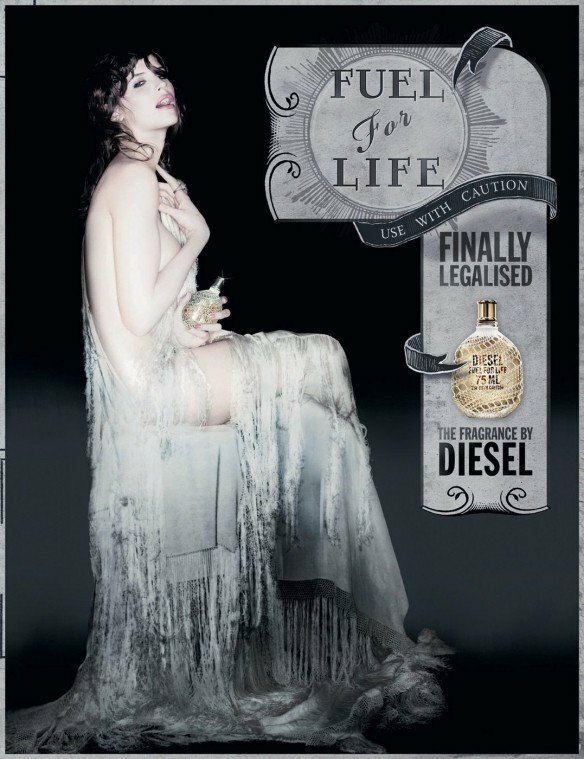 Fuel for Life Femme is a perfume by Diesel for women and was released in 2007. The scent is fruity-floral. It was last marketed by L'Oréal. Half of the target I. FUEL FOR LIFE FEMME - the bottle definitely catches the eye. This is surely a fragrance what works with your chemistry or not. Missk wrote, that a certain period of drydown was appealing for her, I am on the opposite site. If I were a beginner in world of perfumes, I would buy a bottle for the overture of FUEL FOR LIFE FEMME (and go bald after I realize, that finally I rather do not like it). It is fresh, fruity with a lot of mandarin and black currant, and an enfolding, creamy musk. Pink pepper and patchouli were skipped on my skin. At the end the fragrance was really synthetic, and yes, it is similar to air freshener. I had FUEL on one wrist, VERY IRRESISTIBLE ELECTRIC ROSE on another, and after 2 hours I could not make difference. After 3 hours I did not have to bother with differenciate, since both of them disappeared. Although this fragrance isn't the most likable scent around, it sure is popular. Before becoming interested in fragrances, I had always noticed this fragrance on the shelves and noted how many people bought it on a daily basis. I was surprised by the opening notes which really turned me off this fragrance. I was assaulted by strong and peppery citrus which to my nose was rather synthetic. For about the first three hours all I got was a loud concoction of peppery fruits and predictable and plain jasmine. I was indeed underwhelmed by Fuel for Life. However, the drydown was quite pretty. The scent became warm and powdery, also a little sweet. The base notes agreed with my chemistry and also smelt agreeable on paper. Looking at many of the other reviews, I'm not alone in my appraisal of the drydown. 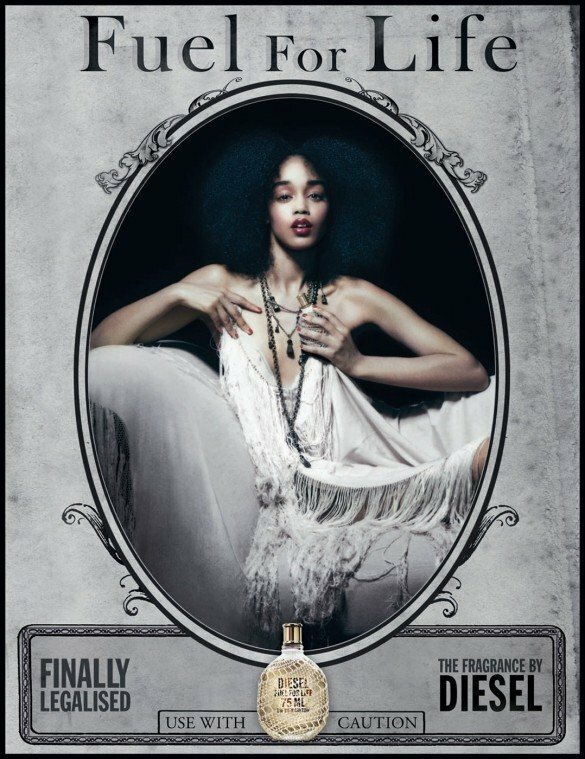 Unfortunately, even though the base notes are nice, after a while the scent began to smell like air freshner mixed with the musty and dirty scent of a bathroom. I'm disappointed in Diesel for creating such a scent. I find their cheaper and lesser known scents more pleasing to say the least. Strangely enough I can see how this would be pleasant for some, however I just can't seem to like it myself. Write the first Review for Fuel for Life Femme!